Dry & Steam Leather Upholstery Cleaning Hampstead Garden Suburb NW11 | RDA Cleaning & Maintenance Ltd.
With more than 8 years of service and experience we can guarantee you the best professional upholstery cleaning Hampstead Garden Suburb NW11 services! Our skilled upholstery cleaners can cope with over 20 kinds of upholstery providing you great results in any case. To remove unpleasant odour, stains and freshen the look of your upholstered furniture, call RDA Cleaning & Maintenance Ltd. at 020 3404 1646. Hire an expert home and office cleaning company now and enjoy a discount when you get more than one of our treatments at once. We require no deposit for booking us, nor will we charge you extra for weekend and bank holiday appointments! RDA Cleaning & Maintenance Ltd.'s experienced upholstery cleaners in Hampstead Garden Suburb NW11 had worked with a wide range of upholstery material and types of furniture. We can comfortably clean suede, settee, cotton, silk, Kashmir, plush, wool, synthetic, blends between synthetic and natural fibers, nubuck, sisal, leather and a lot more. First-Class Upholstery Cleaning Services In Hampstead Garden Suburb NW11 - Booking Us Is Simple! 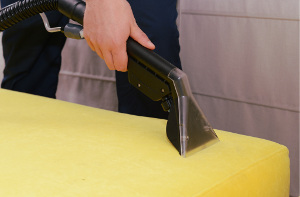 To book our professional upholstery cleaning service in Hampstead Garden Suburb NW11, call 020 3404 1646. Our customer support staff is more than ready to help you when choosing the best treatment for your home or office upholstery.